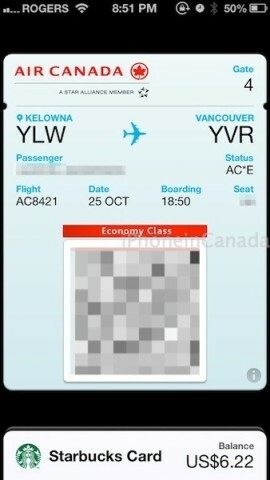 Air Canada has quietly added Passbook support for boarding passes. Passbook is Apple’s new ticket repository that debuted with iOS 6. Essentially it stores all your coupons, gift cards, passes, movie tickets and anything else that has a barcode. 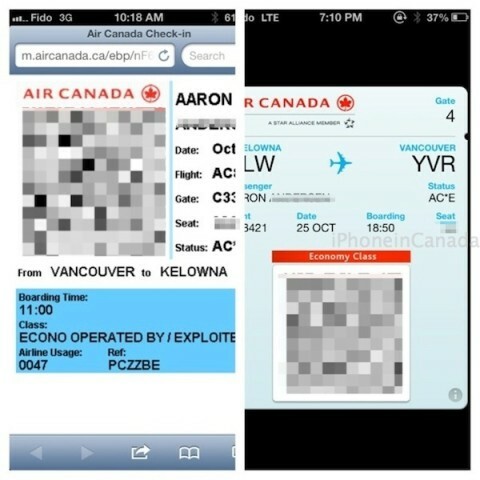 According to iPhoneinCanada reader @aaron604, existing customers that purchase airline tickets are sent unique URLs via text message. Upon visiting these URLs, you’re directed to a page where a Passbook version of your boarding pass appears on the screen with the option to ‘add’ it. 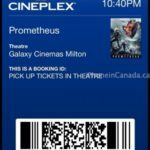 Once added, the ticket sits within Passbook and is ready to be used. Aaron did note he did not get a boarding pass notification when he got to the airport. 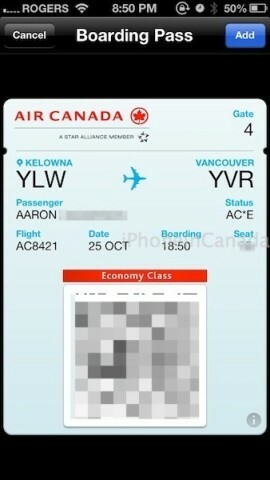 Here’s how the Air Canada board pass looks within Passbook (you can see my Starbucks Card at the bottom too). If you click on the ‘more info’ icon, it reveals your booking reference number and e-ticket number. Porter Airlines was the first airline in Canada to integrate Passbook. You can bet other airlines are busy integrating Passbook as well. We haven’t heard of any official Air Canada announcements on this yet. If anyone out there is flying Air Canada soon, let us know if you were able to integrate your boarding pass into Passbook. Customers who check-in on mobile.aircanada.com, aircanada.com or at and airport kiosk and access their Electronic Boarding Pass with a supported device (iPhone or iPod touch on iOS 6) will receive the Passbook version of the Electronic Boarding Pass. The Passbook version works just like our existing Electronic Boarding Pass and will allow customers to identify themselves at airport kiosks, check-in counters, enable them to pass through security and board their flights. 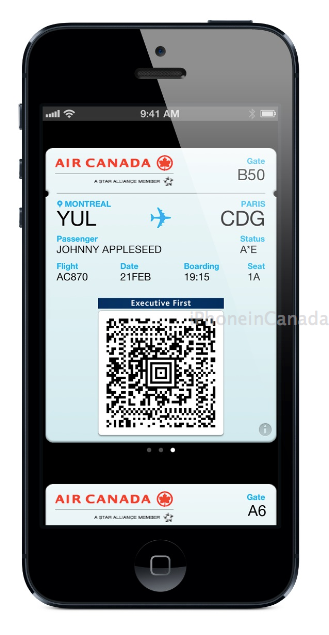 Air Canada is among the first airlines to support Passbook. Air Canada’s integration with Passbook will further simplify the customer’s travel experience and maintain Air Canada’s position as a top innovator in the Airline industry.